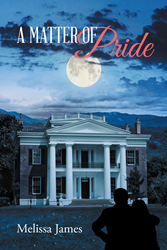 Recent release “A Matter of Pride” from Page Publishing author Melissa James is an alluring narrative of a complicated relationship that takes place shortly before the crisis of the Civil War. Melissa James, a passionate writer, author, and music lover currently residing in San Jacinto, California with her husband Ken, has completed her new book “A Matter of Pride”: a defining work of fiction that tells the story of Heather and her perplexing romance with two equally distinct men amidst the escalating turmoil of war. Published by New York City-based Page Publishing, Melissa James’s impassioned story reflects the unyielding pride of men and the delicate nature of women in this brilliantly crafted masterpiece that looks into the heart of secrecy and scandal. Readers who wish to experience this plot-driven work can purchase “A Matter of Pride” at bookstores everywhere, or online at the Apple iTunes store, Amazon, Google Play, Kobo, or Barnes and Noble.